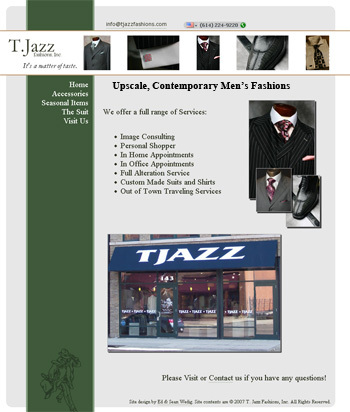 Tjazz Fashions, Inc. is a high end men’s clothing store offering a full range of services. 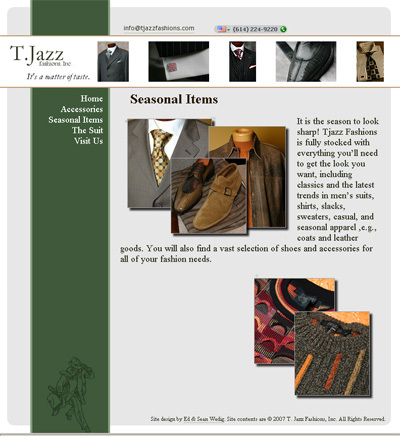 I was referred to them by a friend of mine, and my brother and I built a clean, stylish site for them. This entry was posted in Web Design and tagged small business, WordPress on May 25, 2007 by EdWedig.